5. 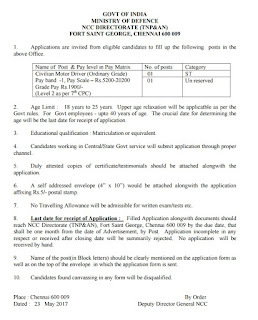 Hard copy of duly filled and signed application along with the photocopies of (i) ID proof (ii) Proof of Date of Birth (iii) Educational Certificates: Mark-Sheets/Degree Certificate (iv) Caste (v) e-Receipt for fee payment as applicable and attested copies of relevant documents should be addressed to “NCC Directorate (TNP&AN), Fort Saint George, Chennai 600 009” by post so as to reach us by 21.06.2017. 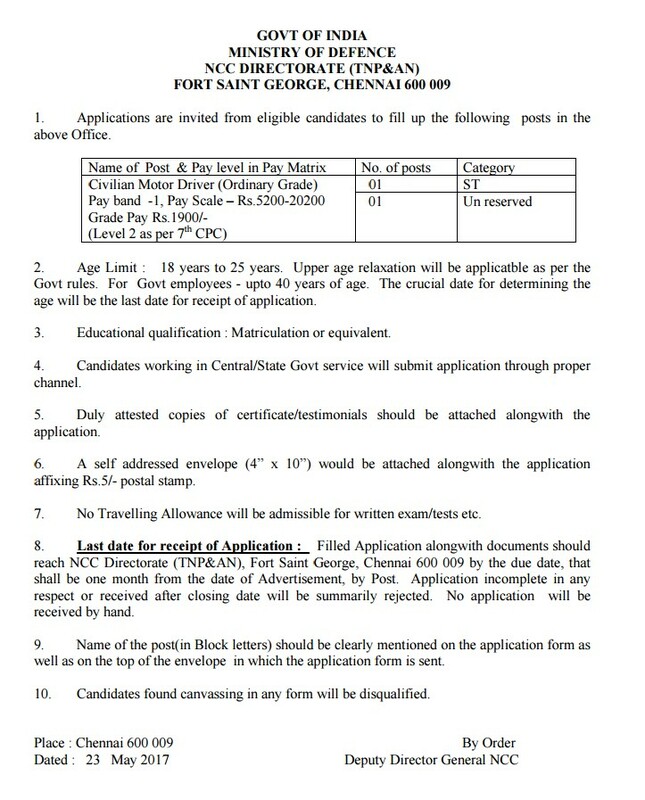 Envelope must be super-scribed with “APPLICATION FOR THE POST OF “…………….”.A self addressed envelope (4” x 10”) would be attached alongwith the application affixing Rs.5/- postal stamp.